In 1998 Armenia was commemorating the tenth anniversary of the catastrophic Spitak earthquake. 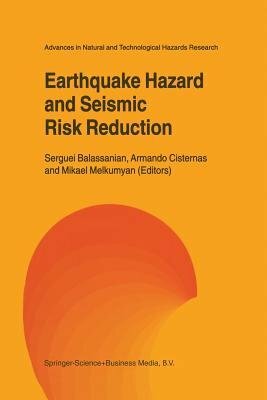 The Second International Conference on "Earthquake Hazard and Seismic Risk Reduction" sponsored by the Government of the Republic of Armenia and United Nation's International Decade for Natural Disaster Reduction (UN/IDNDR) was held in dedication to that event between 14-21 September (later referred to as Yerevan Conference). The Yerevan Conference has been organized by the National Survey for Seismic Protection (NSSP) of the Republic of Armenia. All level's decision-makers (from the ministers to the local authorities), politicians, scientists, leaders of the executive and legislative powers, psychologists, leading businessmen, representatives from the private sector and the media as well as from the International Organizations have been invited by the Armenian NSSP to take part in joint discussion of the Seismic Risk Reduction Problem for the first time in the history of such forums. Armenian NSSP's such initiative has been triggered by the experience of the Spitak earthquake and other disasters. They showed that it will be possible to reduce the risks, posed by the natural disaster, only through the common efforts of all the community in co-operation with the International institutions.